So, about Dave Adams: Dave was born and raised near Brighton in Sussex, Dave quickly became an accomplished DJ hosting private parties & corporate events, and eventually focusing on nightclubs. After a successful residency at a small nightclub in Worthing, Dave secured the position of resident 2nd DJ at Rank Leisure’s 2000 capacity “Top Rank Suite” in Brighton. This carved the way to a highly successful club DJ career. DJ’ing at clubs such as Martines (Portsmouth), Washington Height & Club RG1 (Reading), Kiss (St Albans) and The Venue (Bournmouth). Dave fulfilled a six month tour of Norway, DJ’ing at some of the country’s most high profile venues. Dave has worked as a compere for various National Tours such as “The U.K. DJ of The Year Competition”, and major product launch tours. He has attained Award-Winning status for his outstanding DJ’ing ability. In addition, Dave has frequently hosted major outside concerts to thousands of people. 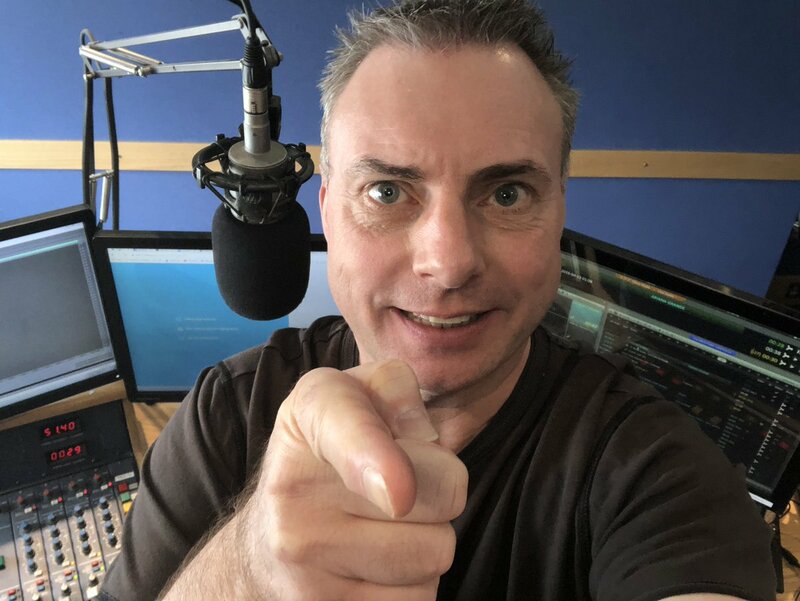 Dave’s radio career began presenting a weekly show on West Sussex’s “Spirit FM”, this soon led to a move to Capital Radio’s Sussex station “Southern FM”. He went on to host the Drive Time show for TLRC station “Sovereign FM”. He also did stints on “Win FM”, “Quay Radio” and “The Saint”. He could previously be heard on Media Sound Radio Network’s, a“Splash FM”, “Bright FM”, “Sovereign FM and “Arrow FM”. Dave also presents the “Club Life Show” and “Retro Hits Show” which is broadcast globally on FM, Digital and online radio stations around the world including: Radio One Mallorca, Malta’s Galaxy 105, and PowerOn FM Canary Islands.